Telstar as she is today seen at Burray pier. picture taken boxing day 2009. 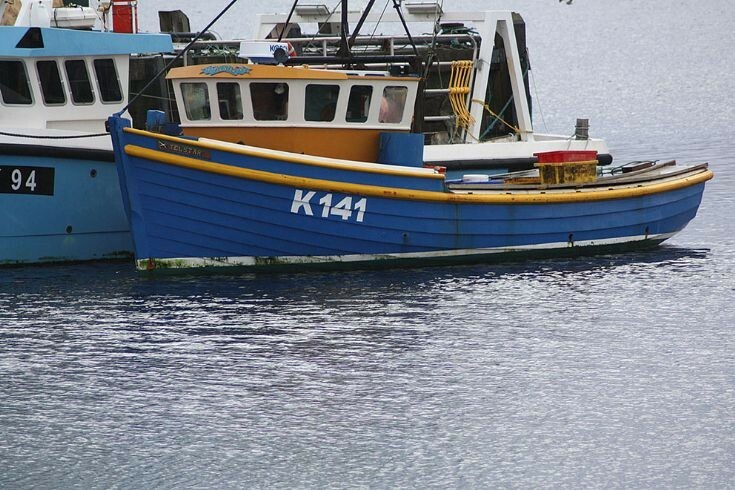 Peter gave up the fishing in 2001 and sold her on to Davy Sutherland jnr and went to work for the shipping Co where he works on the Hoy Head and the Thorsvoe. pictures 1 - 2 - and 3 courtesy of Peter Robertson.